The wonderful thing about being skeptical of superfoods is that you get to keep the ones that taste delicious and dump the ones that other people force down “for their health” (yes, wheatgrass, this means you). 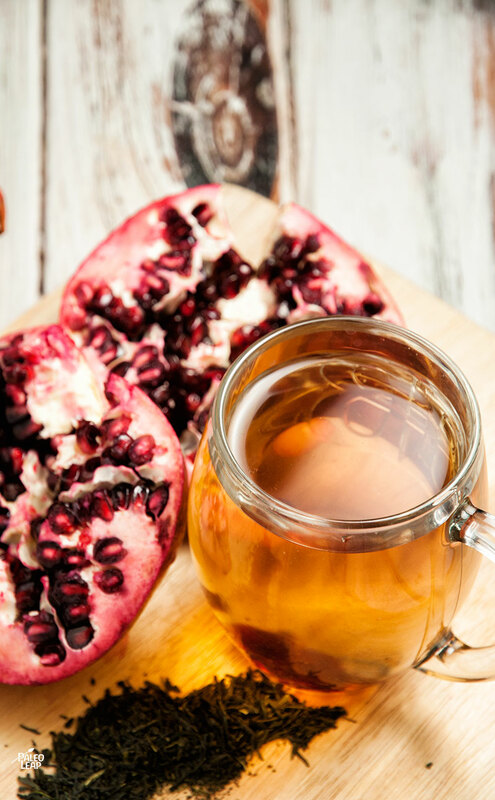 And that’s exactly what’s going on here – green tea and pomegranates won’t make you immortal or immune to all disease or magically thin overnight, but they do taste delicious together, and if you just so happen to benefit from all the antioxidants, so much the better! 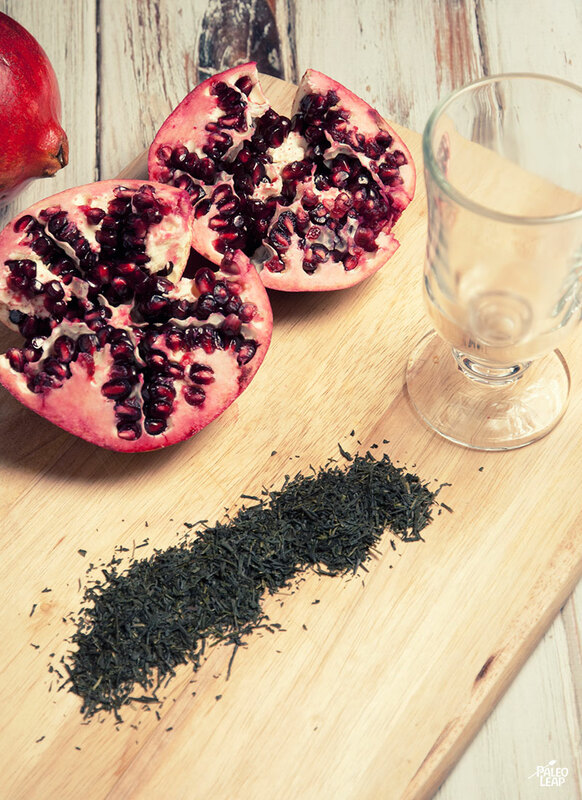 Pomegranate green tea isn’t exactly a groundbreaking invention, but making your own lets you adjust the flavor exactly to your liking, and also avoid any contaminants that often sneak into pre-bagged tea. To get the best flavor from green tea, steep it in water that isn’t hot enough to boil (unless you’re very particular about temperatures, it’s fine to bring the water to a boil, then let it sit for a minute or two to cool off before adding the tea). Then add the other ingredients as directed below and grab a good book to curl up with while you enjoy your drink. SERVES: 2 PREP: 5 min. COOK: 5 min. Steep the green tea in the warm water 3 to 4 minutes, using a tea pot. Stir in the pomegranate juice. Pour the tea into 2 cups and add the pomegranate seeds.